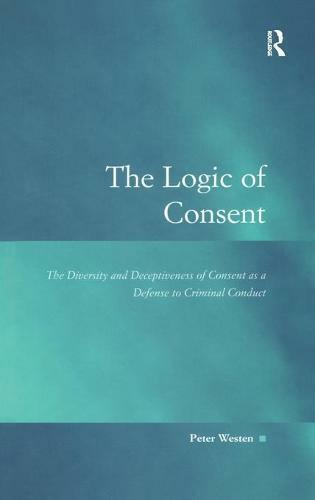 The Logic of Consent analyzes the varied nature of consent arguments in criminal law and examines the confusions that commonly arise from the failure of legislatures, courts and commentators to understand them. Peter Westen skillfully argues that the conceptual aspect accounts for a significant number of the difficulties that legislatures, courts and scholars have with consent in criminal cases; he observes that consent masquerades as a single kind of event when, in reality, it refers to diverse and sometimes mutually exclusive kinds of events. Specifically, consent is used in law to refer to three pairs of contrasting kinds of events: factual versus legal, attitudinal versus expressive, and prescriptive versus imputed. While Westen takes no position on whether the substance of existing defenses of consent in criminal law ought to be enlarged or reduced in scope, he examines each of these contrasting events and analyzes the normative confusions they produce.